The new control tower at Dublin Airport will be the country's highest occupied building when it is completed in two years time. The tower is just under 87 metres tall - nearly 60% higher than Liberty Hall in the city centre. Construction of the tower is necessary to cater for a second runway at the airport. The tower itself is scheduled for completion in 2020, which the northern runway is due to be completed in 2021. 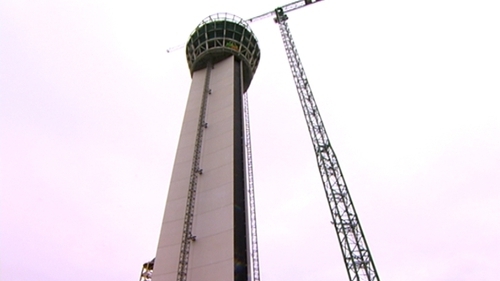 Construction of the tower, which dwarfs the existing control tower at the airport, is estimated to cost €50m.